Roger Federer continued his sublime play at the 2014 Championships, dismissing big serving Milos Raonic in a clinical straight sets victory Friday afternoon in London. The 7-time Wimbledon champion fended off 17 aces from the 23-year-old Canadian, and also avoided tiebreaks with timely breaks in each set. The Swiss maestro broke in the very first game, and his impeccable serve carried him one step ahead for the entire match. He saved the only break point faced, and has dropped serve just once heading into Sunday’s final. Federer fired six aces of his own, winning 81% of points on his first serve and 68% of points on his second serve. In identical fashion, he served out the first and second set, before securing his third break at 4-all in the third set. Sharp in his groundstrokes as well, the 17-time grand slam champion hit 32 winners and 11 unforced errors. Needing just 1 hour 41 minutes, the 32-year-old Swiss defeated Raonic 6-4 6-4 6-4, and will face Novak Djokovic in the final. 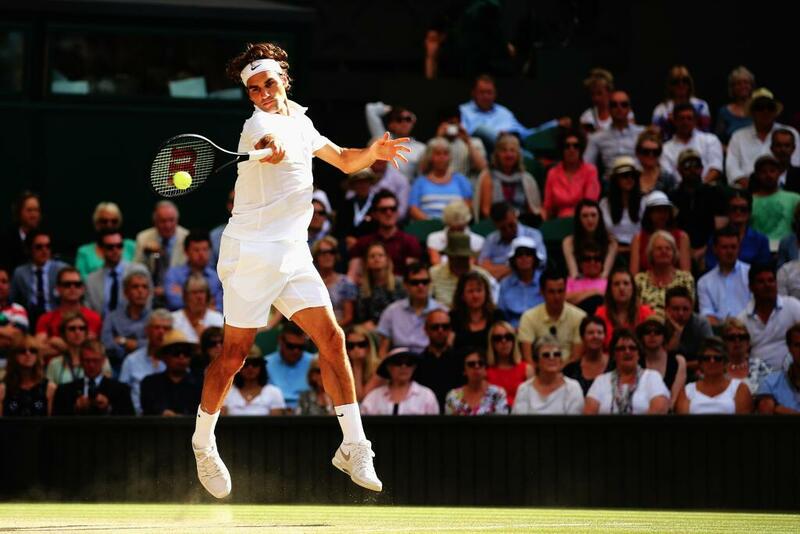 It marks Federer’s 9th Wimbledon final and 25th grand slam final. 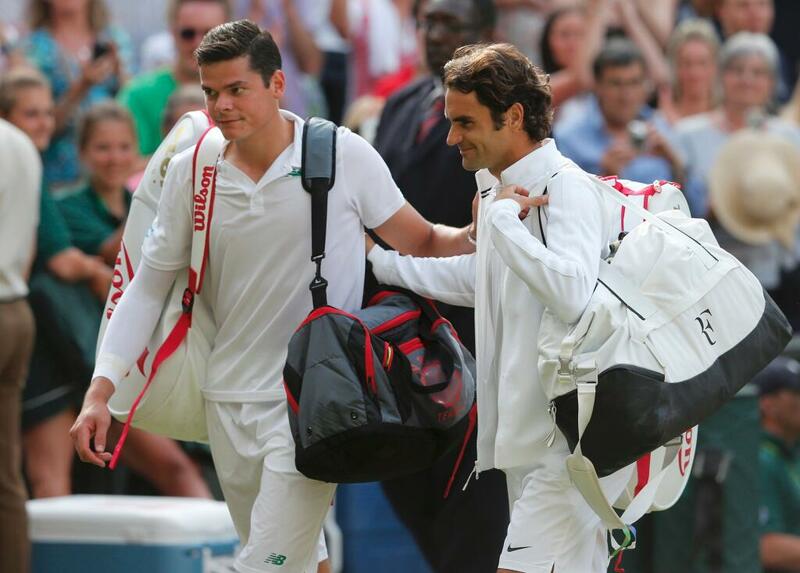 He is the oldest grand slam finalist since Andre Agassi (age 36, 2005 US Open).